A view outside the Crossroads Center Mall that reopens Monday after closing Saturday night when a man entered and stabbed nine people in St. Cloud, Minnesota, Sept. 19, 2016. Somali community leaders in St. Cloud, Minnesota say they are “shocked” at the news that a Somali-American man allegedly stabbed nine people at a shopping mall on Saturday evening. A community elder, Jama Alimad, told VOA Somali that the community is worried of the impact of this incident. “This is a very serious matter, that this community is the target of an investigation into terrorism is a serious matter,” he said. Alimad said the community fears some kind of retaliation. This image obtained Sept. 19, 2016 from social media shows Dahir A. Adan. Adan, who was born in Africa but had lived in the United States for 15 years, was identified by his father as the assailant in the St. Cloud, Minnesota mall stabbing attack. Alimad, who is also a friend of the family, is one of the community elders who has visited the family of the 22-year-old suspect Dahir Adan. Adan is accused of stabbing nine people before he was shot dead by an off-duty police officer at the Crossroads Center mall in St. Cloud. Alimad knew the suspect, Adan, from an early age. He says that as an elder and a parent, he used to see Adan in various places, including schools and in boys and girls clubs. Alimad also says he knows the family of the suspect very well. Adan had also worked as a security guard on a part-time basis. Alimad says he last saw the suspect recently and had a brief conversation. Alimad said he saw Adan in a different picture. “The picture I have about him does not reflect what he is being accused of,” he said. 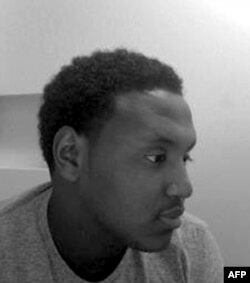 Adan's father, Ahmed Adan, told the Star Tribune newspaper that police informed him Saturday night that his son, Dahir, had died at the mall. He said police didn't mention the attack, but they seized photos and other materials from the family's apartment. Minnesota is home to the United States’ largest concentration of Somali immigrants and refugees. St. Cloud is about 110 kilometers northwest of Minneapolis, the state's largest city.